The Jaguar XF is one of the most wanted cars that enthusiasts have admired through the ages and its official price tag was recently revealed. Much to the surprise of the buyers who were looking forward to owning the vehicle, it costs $82,800 which is a tad overpriced than its predecessor. It doesn’t include on-road costs which probably will add up to the total cost of the vehicle. The pricing has been confirmed for the Australian market and is expected to be on the same lines, in the U.S. as well as Europe. However, the car carries an $8,000 higher price tag, but Jaguar justifies the increase by adding new equipment as well as a brand new engine. The vehicle is powered by a 2.0 liter diesel engine variant which also features exquisite leather seats, 18-inch alloy wheels and offer great seat adjustments making it highly comfortable for the passengers. Additional features to expect in the Jaguar XF include dual zone climate control add-ons, an 8-inch infotainment control screen, tire pressure monitoring, xenon headlamps, which include lights for daytime driving as well as the Meridian sound system to output 380-watts of power. Driving assistance package provided in the basic model include a parking sensor for newbies on both sides, satellite navigation system and a reverse camera. When drivers shift lanes without proper signal, the car will sound an alarm and it has automatic braking system to avoid collisions. All these features are being bundled in the basic model which Jaguar claims left them no choice, but to increase the price tag a bit. The diesel engine variant is the entry level but you can choose to pay $89,800 to go with the Portfolio 25t model, which uses a 2.0 liter turbocharged petrol engine. There’s also a variant powered by the 3.0 liter V6 supercharged engine which will set you back by a massive $104,800 price tag. All engine models use an eight speed transmission system and use standard suspension to offer better drivability. 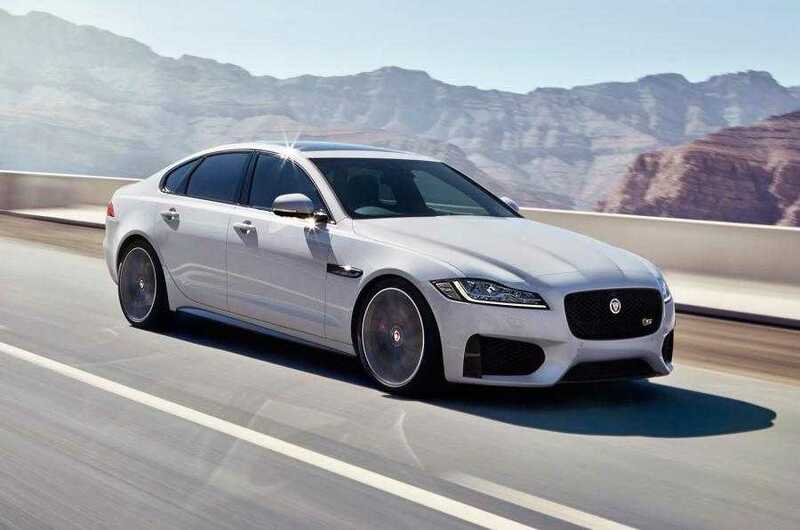 The Jaguar XF will have $1300 service scheme based on which the users could get their vehicle tuned and tweaked at the official centers for the first five years, from purchase date. Similar to the other contemporary cars, the new Jaguar model uses aluminum body which weighs less to offer better control and increased acceleration. It helped the designers shave a solid 190 kilograms off the car that contributes to its stiffness and dynamics.